All inclusive Ibiza holidays up to -70% off To take advantage of these offers, join now for free! 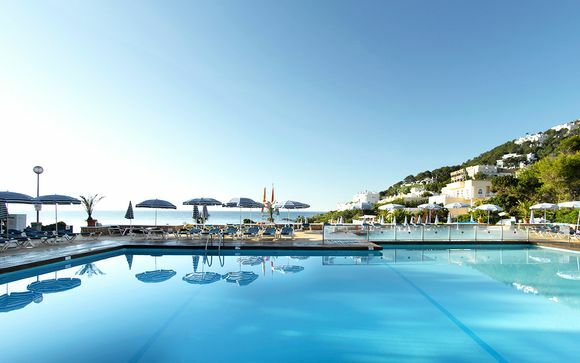 Looking to book a luxury all inclusive Ibiza holiday? With up to 70% off, your dream trip to the sun and sands of the White Isle may be closer than you think. 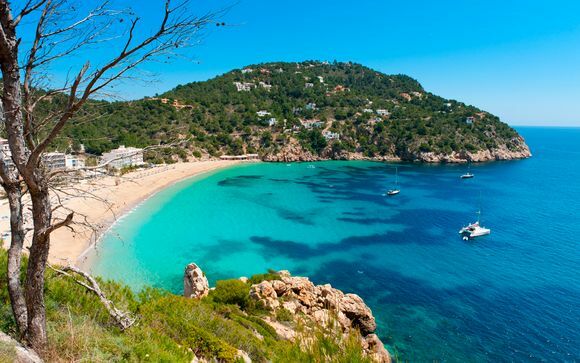 Ibiza manages to be both a world-famous party destination and a tranquil, family-friendly idyll. 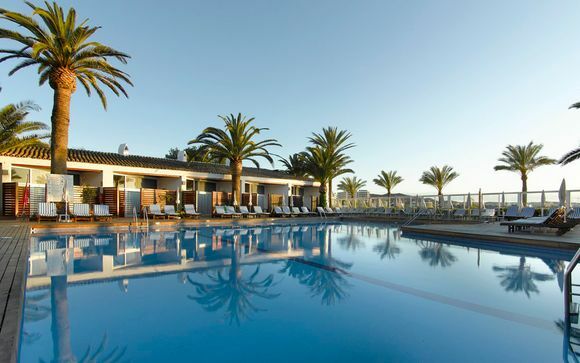 With so much packed into one Balearic island, you'll find your dream all inclusive Ibiza escape at an exclusive price with our range of fantastic deals. Long known as a destination for a young and fashionable crowd, Ibiza combines sun, perfect sands and the sounds of renowned DJs playing the newest electronic music. Yet step away from the party hotspots in Ibiza Town and San Antonio and you'll find a quieter side to the island. 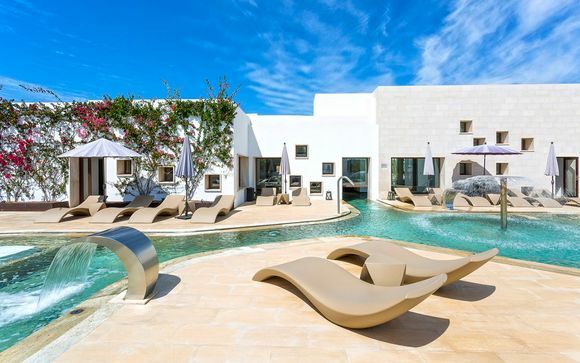 Making the most of Ibiza's spectacular natural beauty, you'll find tranquil areas where families seeking a touch of luxury and relaxation will feel at home. Don't miss the UNESCO-listed fortified Dalt Vila area of Ibiza Town, a stunning example of Renaissance fortress architecture. Or, if switching off is the name of the game, head to Santa Eulalia, a beautiful hideaway on the east coast of the island. Our range of all inclusive Ibiza holidays will help ensure you get the very best from your stay, giving you everything you need at the highest possible quality without needing to venture from where you are staying. Let us do the hard work for you, leaving you just to relax and unwind. You'll only find four and five-star hotels in our listings, all hand picked to provide a stunning experience in the best areas of Ibiza. We specially select our deals so you can be free to explore the island's many riches without worrying about the essential comforts. We know what makes a luxury holiday. 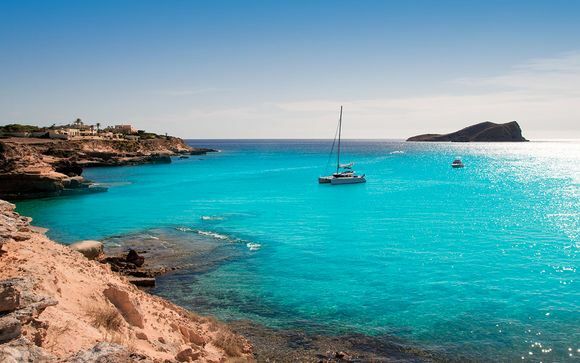 Immerse yourself in your Balearic getaway, whether you're looking for pristine sands and cultural gems or world-class restaurants and towns that come alive after dark. The White Isle has it all in abundance, ready for you to sink your feet in the sand. Our limited time special offers run regularly, bringing you the finest all inclusive hotels at surprising prices. It's easy to get started. Sign up today to find your dream all inclusive Ibiza break with savings of up to 70% on our exclusive deals.